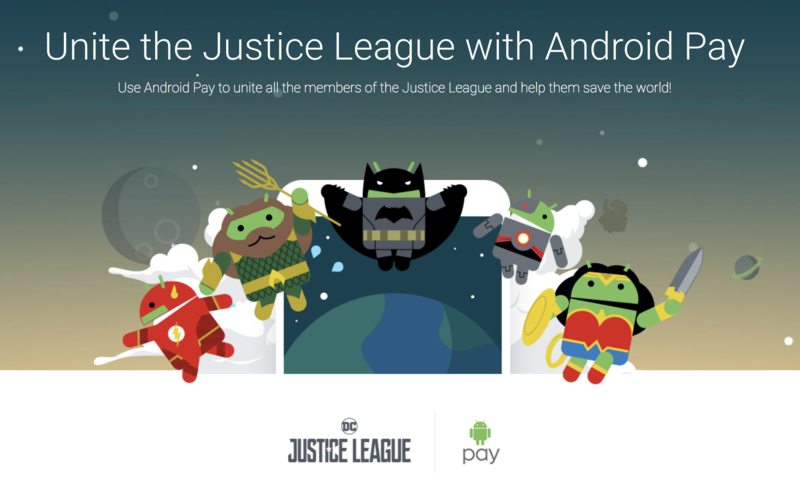 Next time you open the Android Pay app, you'll be presented with the above (left) splash page asking you if you'd like to participate. 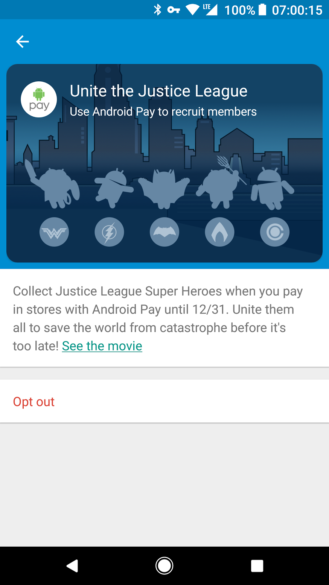 Once you've accepted, you'll find a Justice League card in amongst your loyalty cards that shows which superheroes you've so far collected (above right). There's also a link to the movie's website and an option to opt out of the promotion. We'd seen evidence previously that this type of promotion was in the works. In recent teardowns of the Android Pay app, Cody found references to doodle collecting and sharing, although it wasn't clear if this had anything to do with the doodles you see on the Google Search homepage. Now we know Google refers to these bugdroid animations as doodles, too. You can tap on already collected super-droids to share them and invite others to join in the hunt. 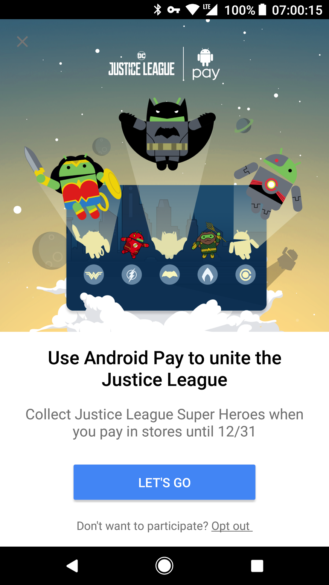 It's a fun way to get people using the app, even if you're not a Justice League fan. Users in the following countries will be able to take part: United States, United Kingdom, Australia, Poland, Russia, Canada, Spain, Taiwan, Hong Kong, and Singapore.